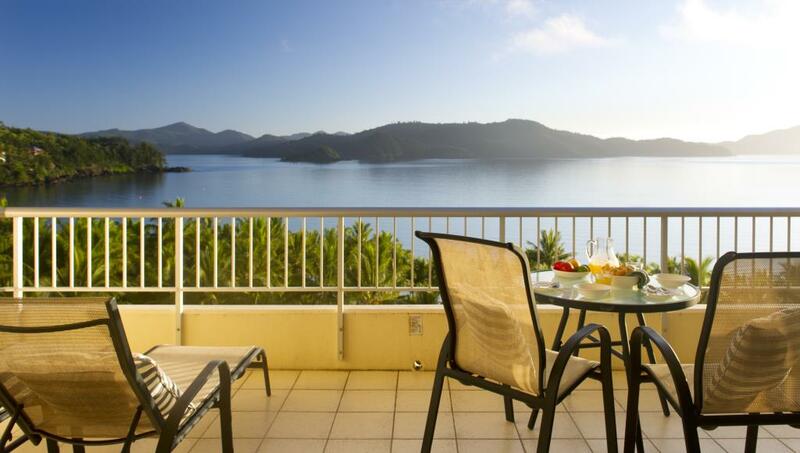 Located on Hamilton Island's resort side with breathtaking views of the Coral Sea and surrounding Whitsunday Islands, Whitsunday Apartments offer stylish, modern accommodation with the freedom of self catering facilities and the convenience of hotel leisure facilities. 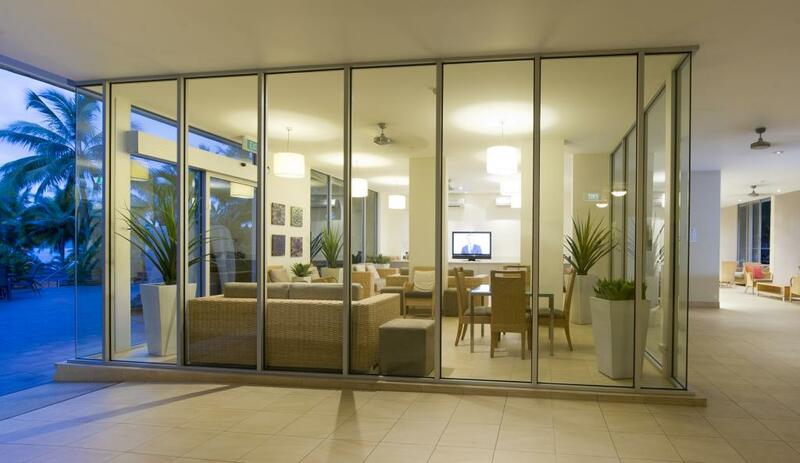 Accommodation at Whitsunday Apartments offers over 163 self catering 1 Bedroom Garden, Sea View or Coral Sea View Rooms ideal for couples and smaller families. 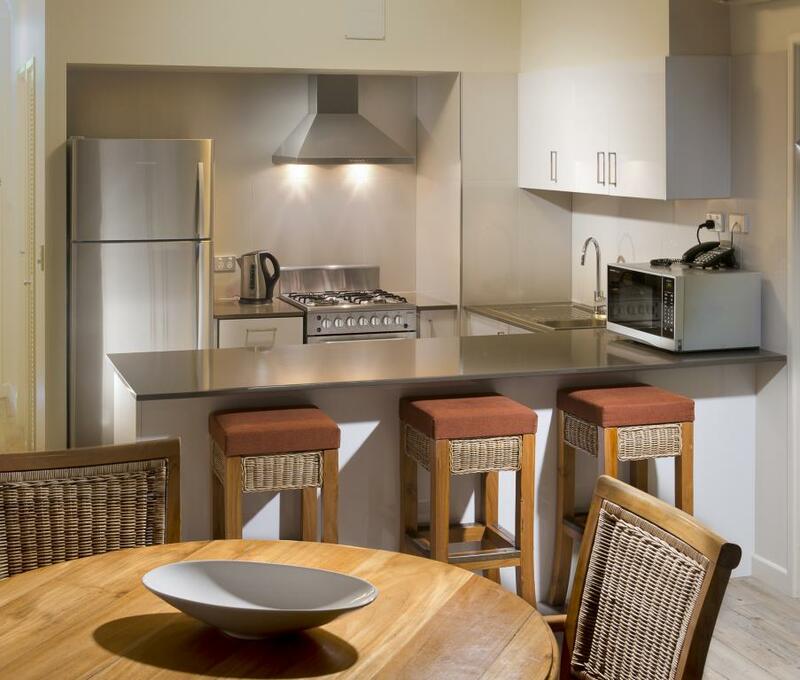 Each apartment enjoys air conditioning, cable TV, full kitchen facilities and a private balcony with views of the tropical gardens or crystal waters. 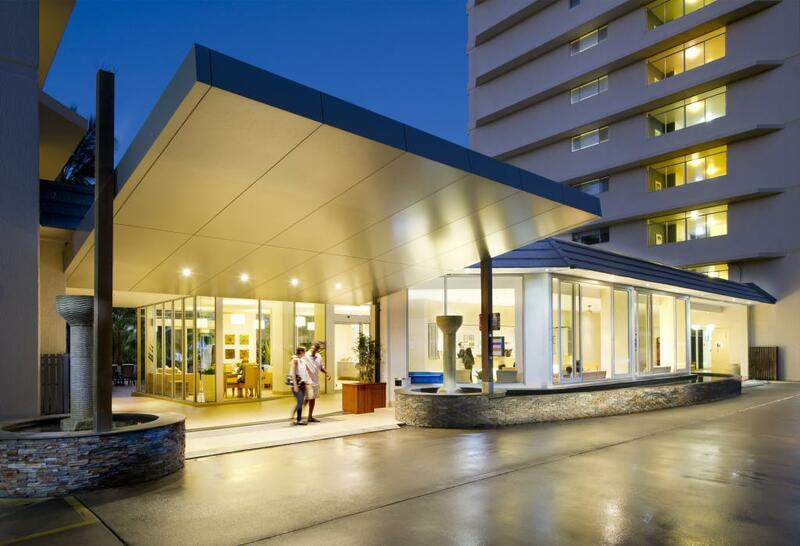 Whitsunday Apartments are right next to the beach and offer an excellent range of onsite facilities including complimentary hotel transfers, unlimited use of the complimentary island shuttle, a swimming pool, spa, guest lounge, tour desk, laundry, golf buggy and wireless internet. 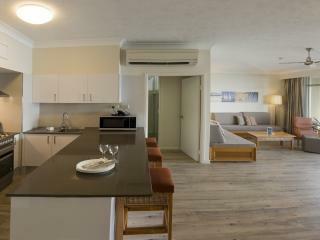 Located only 50 metres to the beach, The Whitsunday Apartments offer 163 One Bedroom Apartments all featuring self-catering facilities. 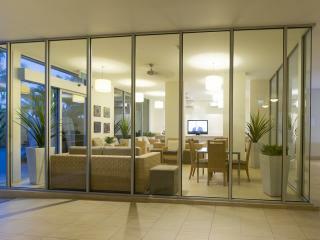 The apartments are fresh and stylish with great outlooks. 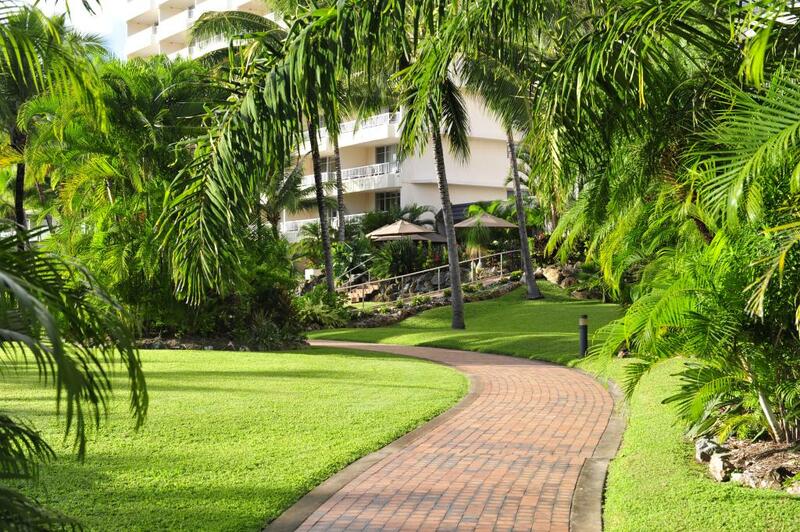 1 Bedroom Garden View: Located on lower floors and offer modern and colourful furnishings, and views of tropical landscaped gardens. Size is 84m² including the balcony. Bedding is 1 King Bed + 3 Single Beds. 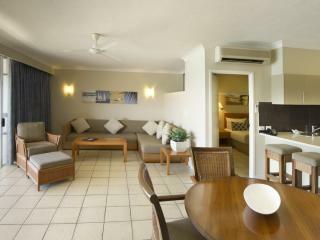 Maximum room capacity is 4 Adults or 5 Adults & Children. 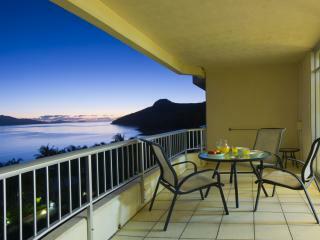 1 Bedroom Sea View: Offers stunning views of the sea from the furnished balcony. Size is 84m² including the balcony. Bedding is 1 King Bed + 3 Single Beds. 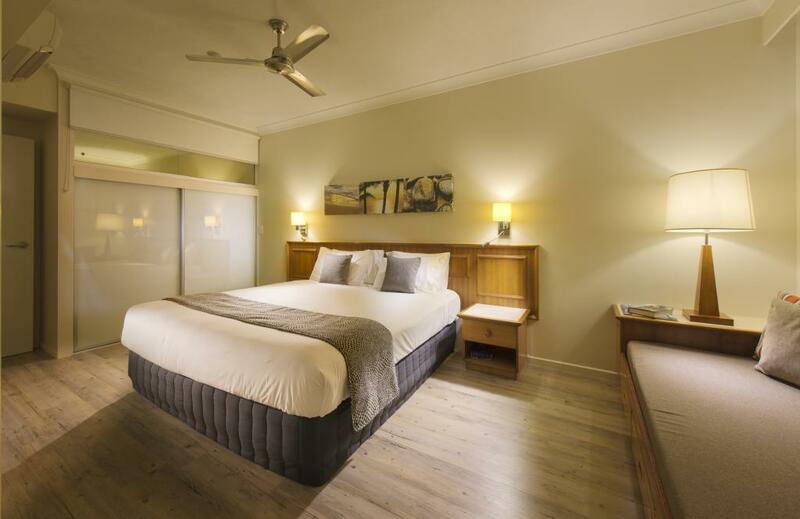 Maximum room capacity is 4 Adults or 5 Adults & Children. 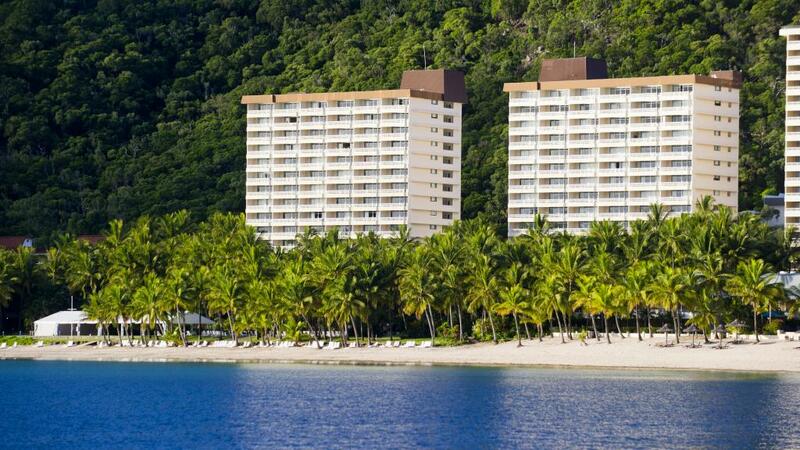 1 Bedroom Deluxe Coral Sea View: Located higher floors and offer contemporary decor and stunning views of the Coral Sea from the balconies. 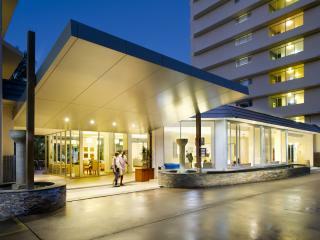 Size is 84m² including the balcony. Bedding is 1 King Bed + 3 Single Beds. 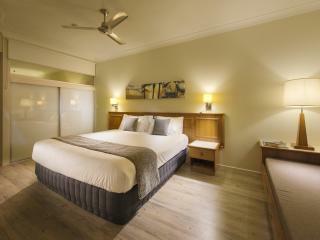 Maximum room capacity is 4 Adults or 5 Adults & Children. 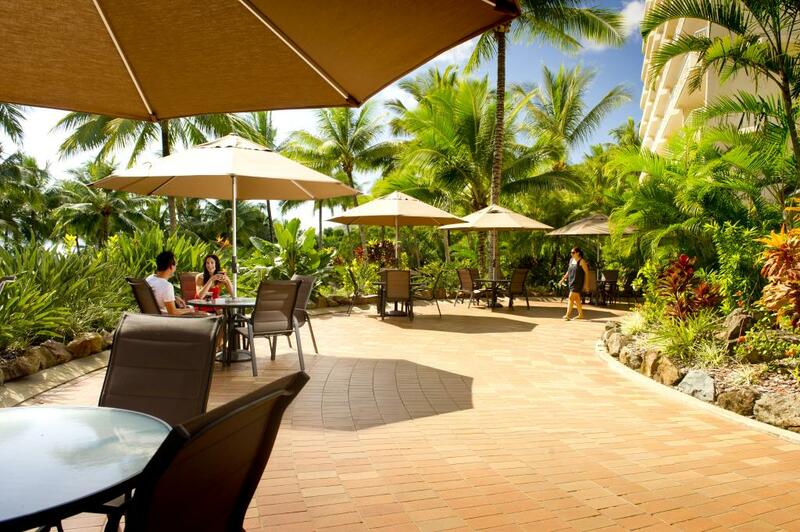 There are over 10 dining options on Hamilton Island to choose from featuring a range of cuisines. 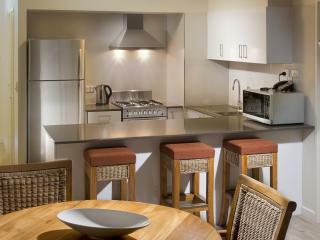 The Whitsunday Apartments feature fully equipped kitchens making them ideal for self catering. 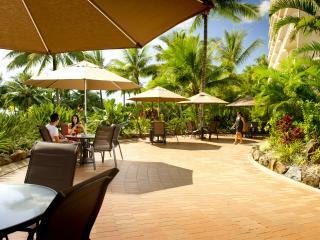 There is a general store on Hamilton Island which all of your regular groceries can be purchased from. 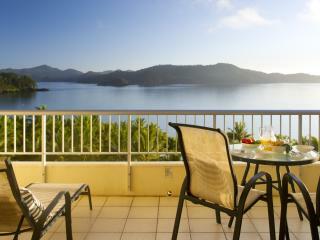 For something a little different why not have breakfast with the Koalas at Wild Life Hamilton Island. Please note that charge-back facilities at these restaurants is not available. 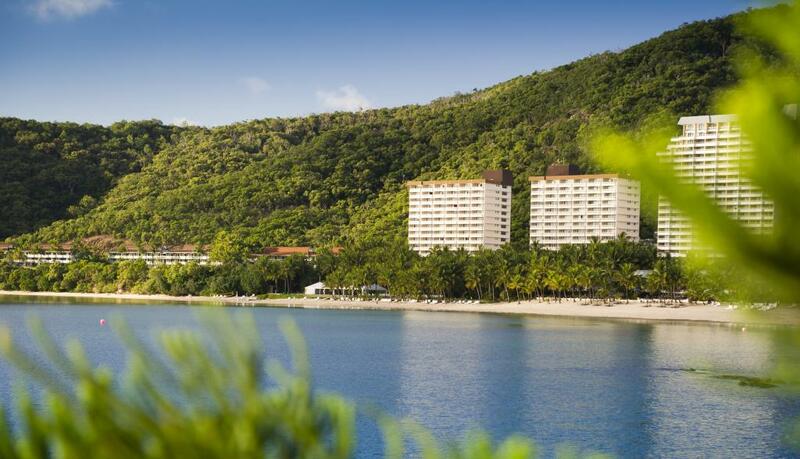 Charge back facilities are not available at any of the resort facilities, bars or restaurants. 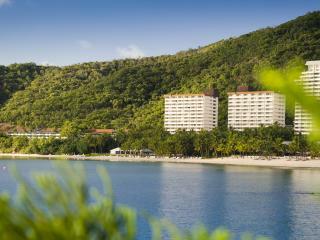 Discover the under world of the Great Barrier Reef while staying on Hamilton Island. 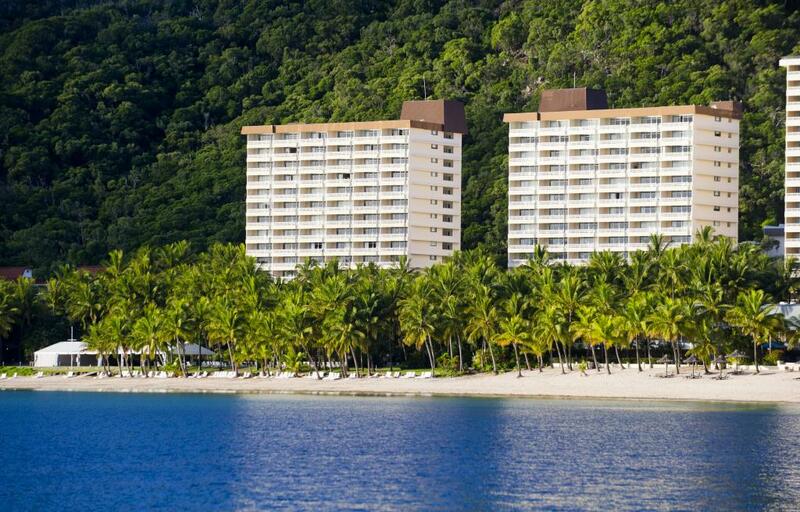 Hamilton Island scuba diving day trip excursions head out to Reefworld for submarine rides, underwater PADI dives and snorkel safaris into the intricate coral gardens of the reef. 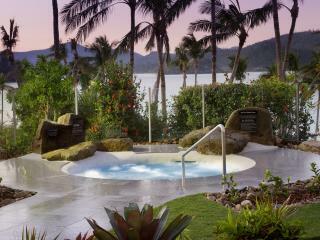 Spa products such as Waterlily and LI TYA have been chosen to provide a unique indigenous experience. Treatments include; body cocoon wraps, ex-foliations, facials enhancements, alternative therapies, massage and body treatments. Open daily from 9am-7pm. Designed by five time British Open winner Peter Thomson, it is the only championship course in Australia on its own island. 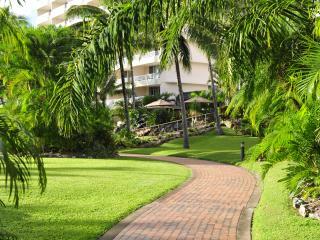 The par 71, 18 hole course is on par with Australia's top golfing destinations for its design, location and facilities. Spectacularly located with panoramic Whitsundays views, the Hamilton Island course will challenge and delight weekend golfers and professionals alike. The Clown Fish Club is an organised day care and child care activities. This facility offers high quality care and is operated by fully qualified childhood leaders. Open Tuesday - Saturday from 8.30am to 5pm for children aged between 6 weeks and 14 years, bookings are essential and charges apply. Baby sitting is also available at an additional charge. During school holiday periods the Kids Club extends to Monday to Saturday.